Price drop $20,000. Located 2.8 miles from the Village is this, Over 2600 sq. 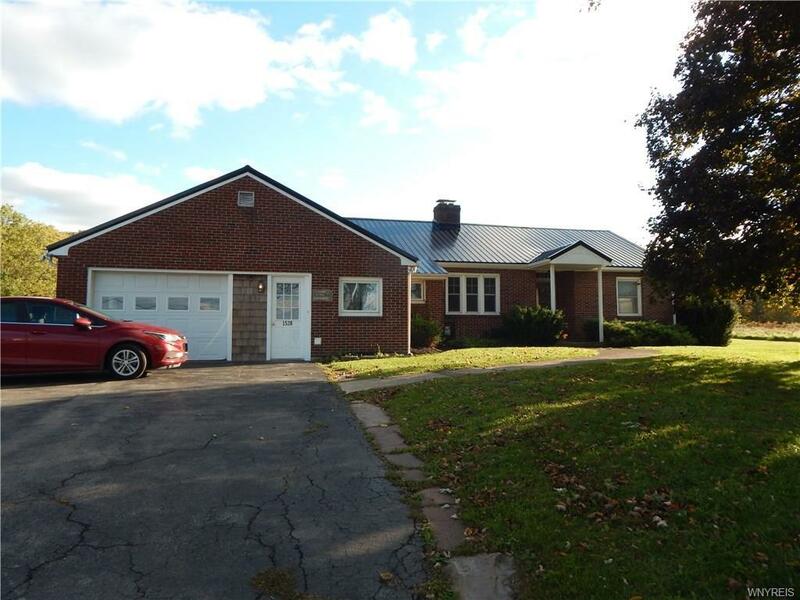 ft., Lewiston, brick Ranch, with 5 bedrooms 2 1/4 baths. First floor laundry, formal dining room and Possible in law set up. This home has so much potential to suit what ever your needs are. Lot is 100 by 200. The acres of property to the rear of the home is also for sale if interested. Part of the U shaped driveway is shared for easy exit onto Ridge Rd. for both properties. Home is sold as is. Seller can make no repairs resulting from a home or bank inspection. Please, Don't hesitate to make an offer. Directions To Property: Located 2.8 Miles From The Village Of Lewiston On Ridge Rd., Rte. 104.